Looking for the Razor Pocket Mod or Sweet Pea Pocket Mod Childs Electric Scooter? 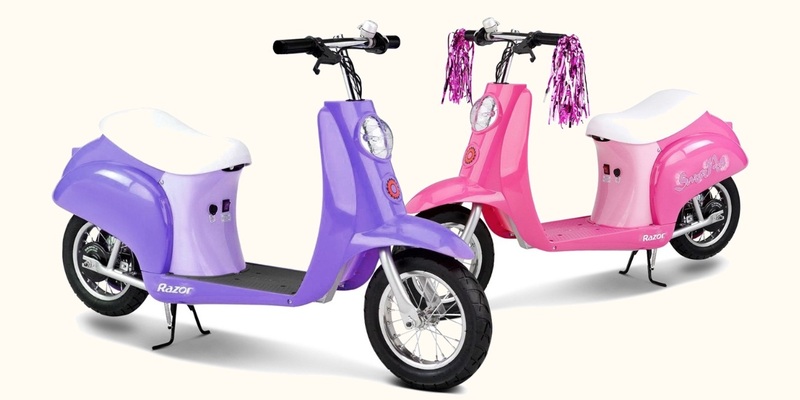 Available in multiple colors, we review this best electric scooter ride-on for girls and young children. Pocket mods are ideal for those kids too young for a Vespa or Lambretta - the new generation of sit down 2 wheel rides!